Would you like to join the team of one of the best academic simulations in our region? 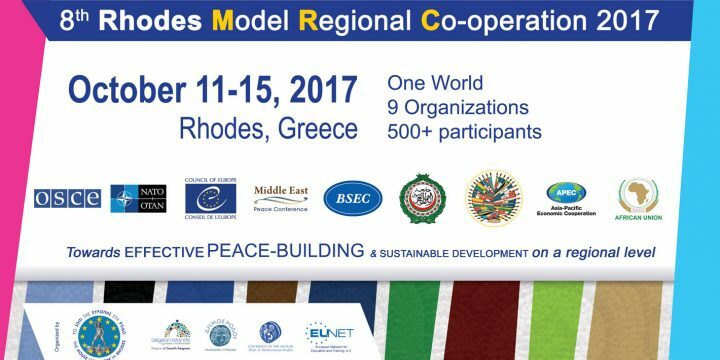 We are glad to open up the Applications to fill in the required seats for two successful conference in RhodesMRC 2017. 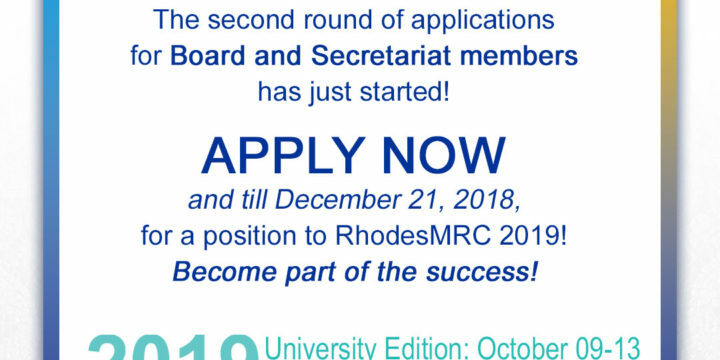 Complementary to the Board Members already recruited during RhodesMRC 2016 we need to fill the following positions: Board Members for the University Conference Crisis Coordinators for the University Conference Board Members for the University Conference Head of Staff Chief Editor for the RhodesMRC Bulletin More details on the University Conference. More details on the High School Conference. Apply Now, and till January 15th, 2017, by clicking here.